Herewith another log on the fire. Eat less; move more; live longer remains the mantra here. I was aware of the brain benefits of aerobic exercise, now, it seems that strength training also contributes. A study of nearly half a million people has revealed that muscular strength, measured by hand grip, is an indication of how healthy our brains are. Dr. Joseph Firth, an Honorary Research Fellow at The University of Manchester and Research Fellow at NICM Health Research Institute at Western Sydney University, crunched the numbers using UK Biobank data. While eat less; move more; live longer is the mantra of this blog, I hasten to add that strength training should be an integral part of that move more aspect. Harvard HEALTHbeat has come out with a new publication on strength and power training. Here’s what Harvard has to say on the subject: “Most of us know that strength training (with free weights, weight machines, or resistance bands) can help build and maintain muscle mass and strength. What many of us don’t know is that strong muscles lead to strong bones. And strong bones can help minimize the risk of fracture due to osteoporosis. “A combination of age-related changes, inactivity, and poor nutrition conspire to steal bone mass at the rate of 1% per year after age 40. As bones grow more fragile and susceptible to fracture, they are more likely to break after even a minor fall or a far less obvious stress, such as bending over to tie a shoelace. Now comes a new study that explains how weight-bearing exercises affect our bone structure and fight that disease. Although I don’t consider it fun, I realize that weight training is a necessity for living a healthy life and keeping my body working. Here are seven tips from Harvard Medical School that my brother passed along to me. “Strength or resistance training challenges your muscles with a stronger-than-usual counterforce, such as pushing against a wall or lifting a dumbbell or pulling on a resistance band. Using progressively heavier weights or increasing resistance makes muscles stronger. 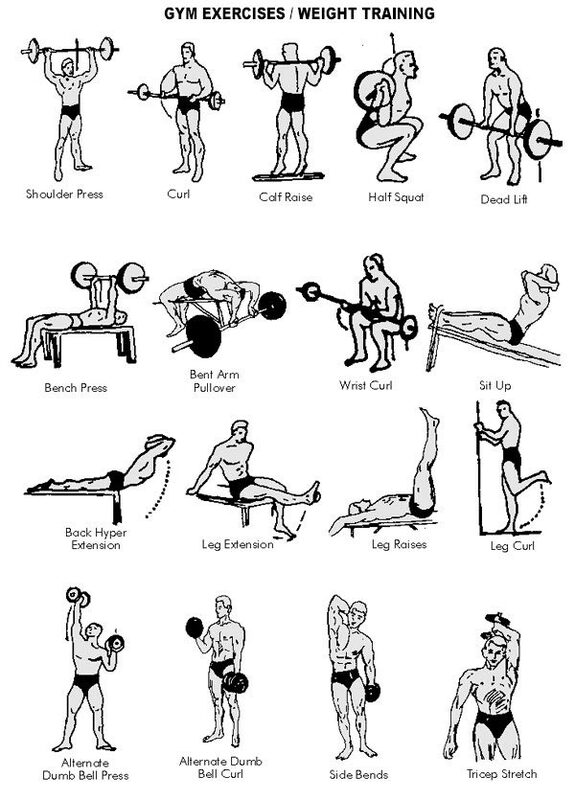 This kind of exercise increases muscle mass, tones muscles, and strengthens bones. It also helps you maintain the strength you need for everyday activities — lifting groceries, climbing stairs, rising from a chair, or rushing for the bus. “The current national guidelines for physical activity recommend strengthening exercises for all major muscle groups (legs, hips, back, chest, abdomen, shoulders, and arms) at least twice a week. One set — usually 8 to 12 repetitions of the same movement — per session is effective, though some evidence suggests that two to three sets may be better. Your muscles need at least 48 hours to recover between strength training sessions. I am a senior citizen as regular readers know. So, sometimes, I need to scale down exercises to be appropriate for me. There is nothing sadder than an injury sustained while exercising and trying to make yourself healthier. So, I was pleased to read of the new research from McMaster University is challenging traditional workout wisdom, suggesting that lifting lighter weights many times is as efficient as lifting heavy weights for fewer repetitions. Thankfully, you don’t need to mimic Arnold to build your muscles. 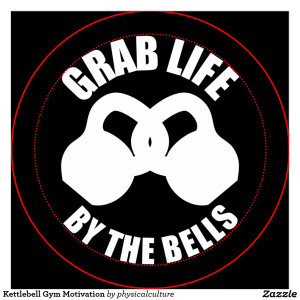 Fascinating take on kettle bells, a subject on which my ignorance is nearly pristine. Regular readers know that I feel very strongly about exercising regularly. Eat less; move more is the mantra of this blog. So, I was thrilled to receive a Mayo Clinic Newsletter from Dr. Robert Sheeler, Medical Editor of the Mayo Clinic Health Letter. So many people think about exercise as an adjunct to dieting to lose weight. Wrong. 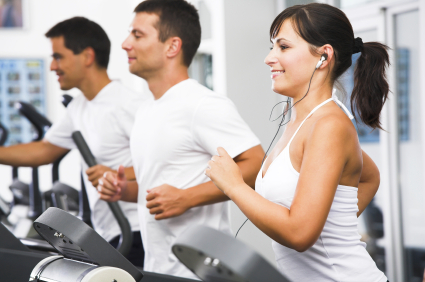 You need to exercise to stay healthy and also to maintain a healthy body and body weight. You don’t stop after you reach your goal weight. Here’s what the good doctor had to say, “If you exercise regularly, you may lower your risk of a heart attack and stroke. If you are middle-aged or older and haven’t been exercising regularly or have a chronic health problem, work with your doctor to develop an exercise program. • Start at a comfortable level of exertion — Try walking five to 10 minutes over a short distance indoors. Increase your time by five minutes a session as you’re able. • Schedule regular exercise — Aim for 30 to 60 minutes a day of low- to moderate-intensity physical activity. • Include variety — Combine three types of exercise — stretching (flexibility), endurance (aerobic or cardio) and strengthening (weight training). Start each session with a warm-up of lower intensity, and cool down gradually. Mind-body exercises, such as yoga and tai chi, may provide even greater benefits. • Cross-train to reduce your risk of injury — Alternate among exercises that emphasize different parts of the body, such as swimming, bicycling and walking. • Don’t overdue it — Start slowly and build up gradually, allowing time between sessions for your body to rest and recover. And forget the saying “No pain, no gain.” A little muscle soreness when you do something new isn’t unusual, but soreness doesn’t equal pain. If it hurts, stop doing it. A big belly is not just unsightly, it is dangerous to your health. This infographic has some very useful facts if you are a sufferer. I have included at the bottom a list of links to posts from this blog on the dangers of a big belly. Weight Training Appears Key to Controlling Belly Fat Study: Smaller Belly, Less Deli May Reduce Kidney Disease Risk, How Dangerous is a Big Belly? What is the Best Exercise to Trim Belly Fat? High-fat and High-sugar Snacks Contribute to Fatty Liver and Abdominal Obesity, Large Waist Linked to Poor Health, Even Among Those in Healthy Body Mass Index Ranges. A study published in the Journal of Clinical Endocrinology and Metabolism found that drinking water—about 17 ounces—increases metabolic rate by 30 percent in healthy men and women. The body needs water in order to process calories, so even if you’re mildly dehydrated, your metabolism may wind down. Even on non-training days, you should aim to drink a minimum of 2 or 3 liters of water a day; on days you do workout, amp up that amount depending on the intensity of your activity. You hit the gym five days a week. You eat all the veggies you can get your hands on. You religiously avoid all white carbs. But in spite of your good intentions, the number on the scale refuses to budge. WTF?!! If this scenario sounds familiar, your metabolism might be to blame. Before you start thinking you’ve been screwed in the genetic lottery, take a deep breath. It’s okay. You can fix this. First thing’s first. What is metabolism, exactly? After all, it’s a word we hear tossed around a lot in the health world. Your skinny friend who lives solely off junk food credits her thin frame to “a fast metabolism,” but what does that even mean? Is the concept of a fast metabolism scientifically legit, or is it a load of B.S.? I have written several posts on osteoporosis. You can read further on the subject here: What Can I do to Prevent Osteoporosis? An Early Sign of Osteoporosis? Are Men Vulnerable to Osteoporosis as Well as Women? “Numerous studies have shown that strength training can play a role in slowing bone loss, and several show it can even build bone. This is tremendously useful to help offset age-related decline in bone mass. Activities that put stress on bones stimulate extra deposits of calcium and nudge bone-forming cells into action. The tugging and pushing on bone that occur during strength training (and weight-bearing aerobic exercise like walking or running) provide the stress. The result is stronger, denser bones. “And strength training has bone benefits beyond those offered by aerobic weight-bearing exercise. It targets bones of the hips, spine, and wrists, which, along with the ribs, are the sites most likely to fracture. What’s more, resistance workouts — particularly those that include moves emphasizing power and balance — enhance strength and stability. That can boost confidence, encourage you to stay active, and reduce fractures by cutting down on falls. Although I am an avid bicyclist, I also recognize the need for weight training to keep my muscles from shrinking as well as to make my body a fat burning machine by replacing fat with muscle. In addition, as an arthritis sufferer, I have written repeatedly about arthritis and exercise: Yoga for arthritis, What are good exercises for folks with arthritis? and Is it okay to exercise with arthritis? So I was happy to see Harvard offering five weight training tips for people with arthritis.